Thanky ou canne. But do we see Boxe francaise presentation in Bercy, native Parisian-French ground? 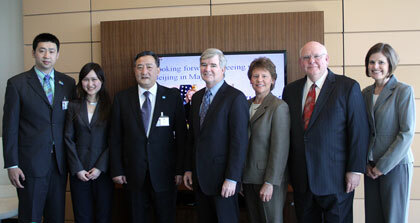 China, FISU member association, signed an agreement with NCAA Under the framework of USA-China People-to-People Exchange, The National Collegiate Athletic Association (NCAA) and the Federation of University Sports of China (FUSC) jointly signed a memorandum in NCAA head quarter in Indianapolis, USA recently. The M.O.U. signed by Mark Emmert, NCAA president and YANG Liguo, FUSC executive vice president/secretary general. NCAA and FUSC agree to seek cooperative opportunities in the areas of bi-lateral sports competition program, coaches and student-athletes exchange program, forums, and featured program (re-broadcast NCAA TV program in China). The foundation of this document between the NCAA and FUSC is a common belief in the value of higher education and college sports in the United States of America and the People’s Republic of China. Invited by Madam LIU Yandong, member of Chinese Poli-bureau, US state secretary Hillary Clinton will pay a visit to Beijing at the beginning of May, and on May 4th, Madam LIU and Hillary will witness the MOU signing ceremony between FUSC and NCAA in Beijing. After signing the MOU with NCAA, YANG Liguo and SHEN Zhen paid a visit to Indiana University, Dr.Larry RINK, chairman of FISU Medical Commission, invited them to visit lots of amazing sports facilities inside the campus. During the meeting with Dr.Michael McRobbie, president of Indiana University, Michael was very interested in sending his sports teams to China as a part of exchange program. Dr.Larry RINK owned 4 professional medical clinics in the city, and he was also worked as a medical professor in Indiana University. Men’s basketball team of Indiana University won 5 times Final Four in NCAA history. To celebrate the launch of Muaythai towards the Highest Sporting Recognition, to be recognised by the International Olympic Committee and to be included in the World Games and also the launch of IFMA/WMC’s latest charity project “Sport Is Your Gang”, a gala reception was held in the luxurious 5-star Centara Grand hotel adjacent to the Bangkok Convention Centre in Thailand. 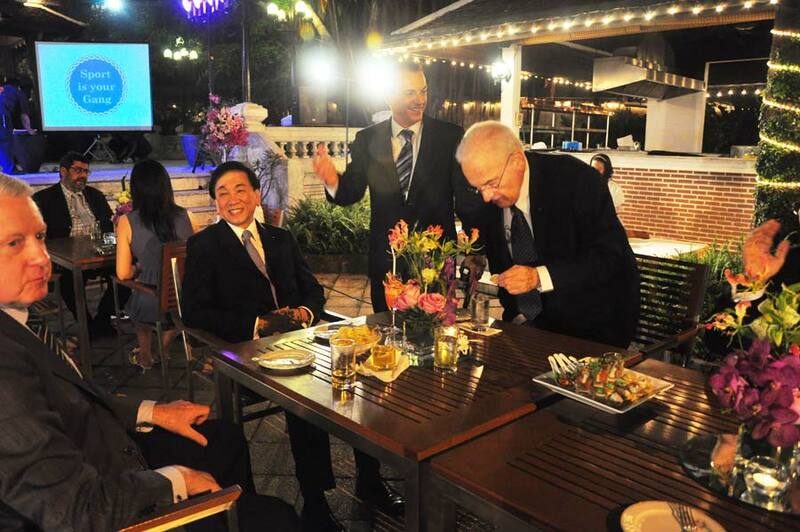 Many VIPs and Executives from the world sporting community traveled to Bangkok and made inspired speeches in support of muaythai and its various social projects. Mr. Hein Verbruggen, President of SportAccord praised the social work that IFMA and WMC has been doing. He also shared his impression of muaythai’s outstanding performance at the 1st SportAccord World Combat Games held in 2010 in Beijing, and especially commended IFMA’s focus on communicating the culture and tradition of the sport which was brilliantly showcased at the Muaythai Cultural Night at the Athlete’s Square. Mr Ron Froehlich President of the International World Games Association ( chairman emeritus of the USA Gymnastics Board of Directors) thanked IFMA for their hospitality and stressed that he was very impressed with the long-time Muaythai Against Drugs programme and IFMA/WMC’s new initiative for the “Sport Is Your Gang” campaign. IOC member and President of AIBA Ching-Kuo Wu said that he has been an observer of all the work done by IFMA in the last decade and has been impressed by how the federation has truly and deservedly gained world recognition. Dr. Nat Indrapana, IOC member stated that as Thai it was a proud day and there was still much work to be done to fulfil all the IOC requirements. General Chetta Thanajaro President of World Muaythai Council established under directive of the Royal Thai Government, thanked the international muaythai community for all the hard work done to foster and promote muaythai. Stephan Fox, Vice President of the WMC and General Secretary of IFMA made a detailed presentation about the various social projects muaythai has been heavily involved with and asked all executive representatives of the 40 embassies present at the reception for their support and close cooperation with their relative National Federations. Dr. Sakchye Tapsuwan concluded the reception by asking everyone to raise their glasses for a toast to all visiting guests and gave warm thanks for everyone’s kind support of the evening’s initiatives. Thank you. Really very nice performance. I like it. USA: Who wants to buy and who to sell savate? Dr. Sakchye Tapsuwan (Thailand) Former AIBA Executive board member, deputy chairman of the R&J Commission and AIBA vice-President. 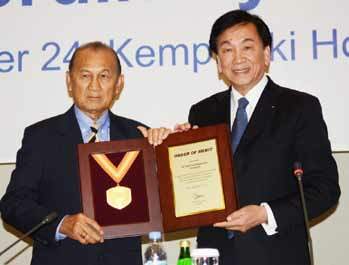 Dr. Sakchye Tapsuwan is a man who has devoted his life to the world of sport. He graduated from Chulalongkorn University in Bangkok, Thailand, with a BA in Physical Education and a Masters in Audio Visual. He then went on to gain a Ph.D. from Oregon State University in P.E. and Sports Administration. Throughout his career, Dr. Tapsuwan has been a key personality in sport in Thailand and in the international sporting community. His focus has always been on improving the standard of safety and enjoyment for competing athletes. He has done much work behind the scenes to make sports more beneficial and open to all. Dr. Tapsuwan’s commitment to sport can be seen in the many high positions he has held with some of the most respected sporting associations in Thailand. 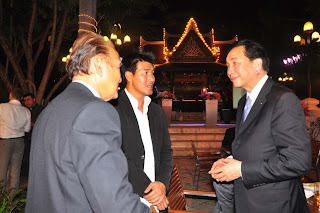 At various times during his illustrious career, Dr. Tapsuwan has been Vice President of the Olympic Committee of Thailand, Vice President of the International Amateur Boxing Association, and a member of the Sports Committee of Olympic Committee of Asia. Also he has been the chairman of the technical committee of the Asian and Sea games All of these positions are elective. These impressive achievements were crowned when he was elected as Governor of the Sports Authority of Thailand, the highest position in the Sports Department in the Royal Thai Government. Since his retirement from this position, Dr. Tapsuwan has become increasingly active in the world of Amateur MuayThai. He values the national sport as part of the global sporting heritage, with his ultimate aim being to have MuayThai athletes compete in the Olympic Games. He combines this love for the sport with his extensive administrative experience and brings a wealth of knowledge to his new position, as President of the Amateur MUAYTHAI Thai Association Thailand, under royal patronage of the Crown Prince.